Latics are still looking for their first win of the season after an uninspiring goalless draw at home to Doncaster on Sunday. 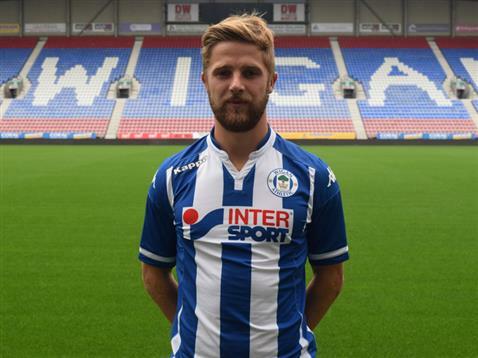 Wigan might have taken a first half lead when Michael Jacobs’ 25 yard free-kick hit the crossbar. However, Doncaster had plenty of chances throughout and were denied by some top drawer stops from Latics keeper Richard O’Donnell and some last-ditch defending. Gary Caldwell made three changes to the side which lost in the league cup on Tuesday night, with Jonjoe Kenny, Francisco Junior and Chris McCann replacing Donervon Daniels, Jordan Flores and Sanmi Odelusi. Latics made a bright start early on with loanee Francisco Junior making an opportunity for himself on the left hand side before shooting wide. Latics best chance of the game came after 17 minutes, when Jacobs dipping free-kick hit the crossbar before bouncing away to safety. Rovers hit back and they could have gone in front on the half hour mark but O’Donnell produced an excellent save to deny Richie Wellens. The keeper was faced with a one-on-one in the box but he got down well to save when the striker looked odds on to score. Latics then produced the best move of the match when Reece James was played in down the left hand side and he cut the ball back for Max Power but unfortunately the midfielder’s effort was straight at Rovers keeper Stuckmann. The teams went into the interval level but Rovers started on the front foot at the beginning of the second period. James Coppinger looked to have been brought down in the area but the referee waved away appeals. Then Harry Forrester forced another excellent low save from O’Donnell two minutes later from a free-kick. To stem the flow of Doncaster pressure Caldwell introduced loanees Sean Murray and Shaquile Coulthirst for McCann and Francisco Junior. Rovers were unlucky not to score in the 58th minute, when Mackenzie rose well to meet a corner, and saw his effort cleared off the line by James. Coulthirst was looking lively and he found Jacobs out wide and the winger’s cross was nearly met by the lunging Will Grigg in the six yard box. As the match moved towards full-time Power looked to have won his side a penalty when he was brought down in the area but the referee waved away the Latics players appeals. Rovers had a couple of attacking free kicks in the dying stages but the match ended in stalemate. It was probably a fair result, as neither team had done enough to deserve all three points. Wigan’s new team showed promise with some neat passing moves but they also demonstrated their significant defensive frailties. They will need to tighten up defensively and also pose more of an attacking threat against Scunthorpe on Wednesday night if they are to stand a chance of securing the three points. This entry was posted in Doncaster Rovers, League One, Michael Jacobs, Wigan Athletic and tagged Doncaster Rovers, League One, Michael Jacobs, Wigan Athletic. Bookmark the permalink.